In someone's backyard west of Sanford on S. Plank Rd., courtesy Lou Corsaro. 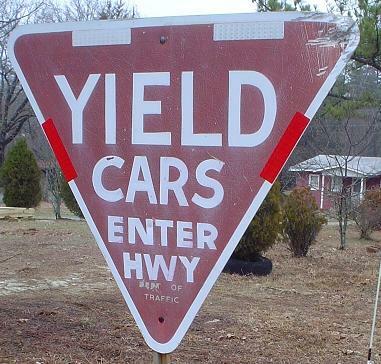 Yellow yield signs, even new ones, are also cool. 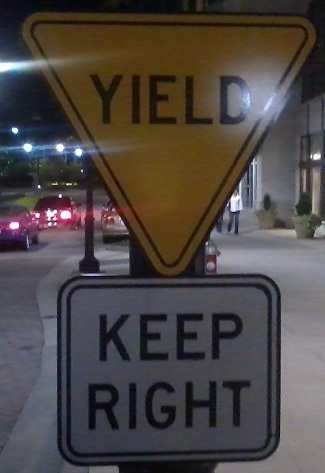 This is in the faux town center at Six Forks Rd. and Lassiter Mill Rd. You can probably thank an architect.